continuous thread throughout the Melody Movement progressive curriculum. Open the box and you’re ready to go! training programme. Click here for details. 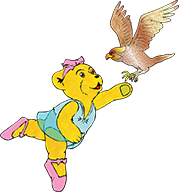 Only teachers licensed by Melody Movement Early Learning Ltd and members of the Melody Movement Teacher group have permission to teach and promote Melody Bear and Melody Movement classes. Email us for more details. 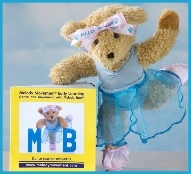 Melody Bear story books are available to members of the public but they do not carry with them any rights to teach Melody Bear’s Melody Movement or use the trademarks Melody Bear® Milligan Bear®, Melody Movement®. Call us on 01480 469711 to receive your teacher information package which includes our current teacher catalogue providing full details of our Class-in-a-Box syllabus packages, award schemes and teaching resources. 116 pages of class resources to inspire your classes.